Under the Dome is an American science-fiction drama television series that premiered on CBS USA June 24 last year. This TV series was developed by Brian K. Vaughan based on the novel of the same name by Stephen King. 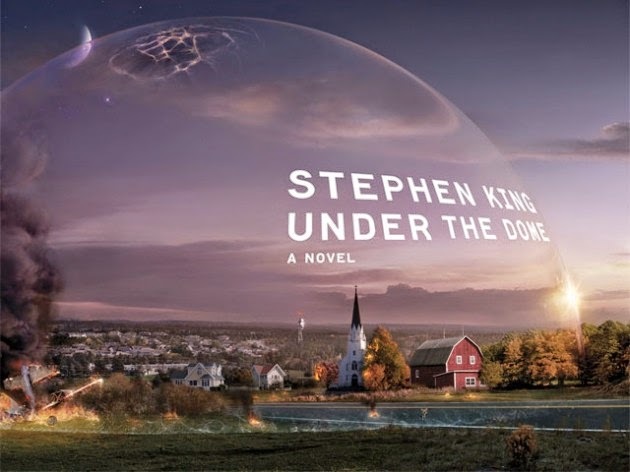 Under the Dome is set in the small town of Chester's Mill in Maine, where a massive, transparent, indestructible dome suddenly cuts its residents off from the rest of the world. People trapped inside must find their own ways to survive with diminishing resources and rising tensions with no Internet access, no mobile signals and limited radio communication. While military forces, the government and the media positioned outside of this surrounding barrier attempt to break it down, a small group of people inside attempt to figure out what the dome is. “Four hands will hold up the dome, and without them it will fall.” Will Angie (Britt Robertson), Norrie (Mackenzie Lintz), Joe (Colin Ford) and Junior (Alexander Koch) be able to control the dome and make it go away? Is there any way of escaping Chester’s Mill? The second season of Under The Dome will premiere on RTL CBS Entertainment with Heads Will Roll on September 3. Barbie’s fate lies in Big Jim’s hands, and the Dome presents a new threat when it becomes magnetized. Meanwhile, Julia seeks out the help of a stranger to save the life of a mysterious girl who may hold clues to origin of the Dome. Under the Dome author and executive producer Stephen King, makes a cameo appearance, and this was filmed on location in Wilmington, N.C. Moreover, Eddie Cahill and Karla Crome join the cast as series regulars. Under The Dome Season airs every Wednesday 9:55 PM only on RTL CBS Entertainment. RTL CBS Entertainment HD is available on SKYcable channels 53 (SD Digital), Destiny channel 53, Cablelink channel 224 and other provincial operators nationawide.